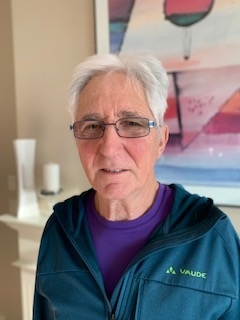 Walter has been instructing Pickleball for many years and plays regularly at the Peachland Community Centre. He believes the most important thing is for people to have fun playing the game, whether competing or just being active. After learning some basic skills and getting comfortable with the ball and racket, then reviewing the Pickleball rules, he will begin playing the game of Pickleball with you as soon as possible. He believes new players learn faster and have the most fun during active play. It will only take a few sessions before students will be eager to join more seasoned players to improve their skills and become dedicated Pickleball players themselves! Dawn has been involved in the fitness industry since the late 80's after receiving her degree in Recreation Facilities Management. She began as a group fitness leader, weight trainer and personal trainer. 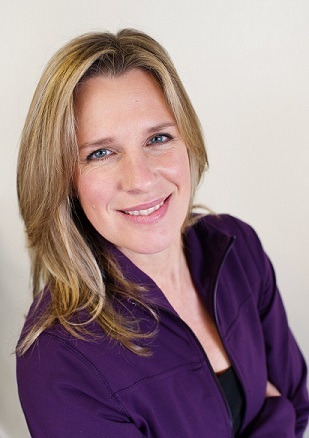 For over 15 of these years, Dawn worked as a Physio, Chiropractic and Occupational Therapy assistant. From the mid 90's Dawn has been leading yoga classes in the tradition of Ashtanga, Hatha, Therapeutic and Ayurveda yoga and still teaches in a blend of these styles as well as teaching high risk, addictions, sports specific and trauma based yoga. 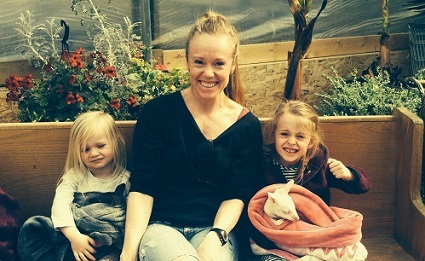 As a mother of 3 teens, she has run pre & post natal, kids and teens yoga classes since her first pregnancy 21 years ago. Over the past 24 years, Randey has coached over 750 boys and girls in both soccer and baseball on community youth teams in Vancouver, from ages 5-18. 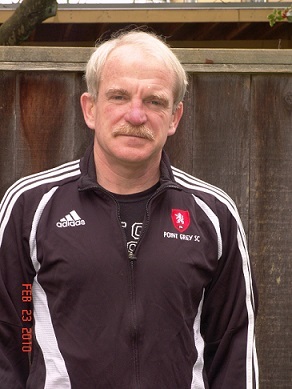 He was president of Pont Grey Youth Soccer, the 2nd largest youth soccer club in Vancouver (1350 boys and girls) from 2002-2008 and was on the Board of Directors of Vancouver Youth Soccer (representing 9000 children) from 2003-2008. Since moving to Peachland with his wife Allie in 2015, he has taught Mini Kickers intro to soccer each quarter for 4-6 year olds at the Peachland Community Centre. A total of approximately 120 children have taken part, most from Peachland but some from Summerland and West Kelowna too. 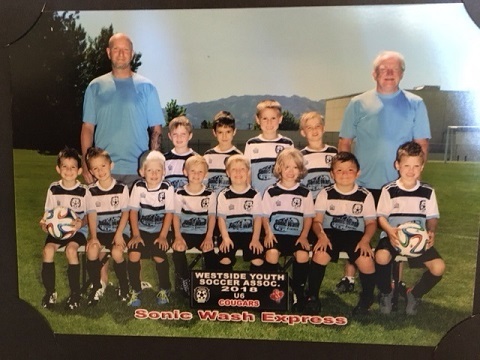 Randey co-coached a team of twelve 6 year old Peachland boys this past season in the neighbouring Westside Youth Soccer Club and will be coaching them again this upcoming soccer season. Most of those boys started playing soccer in the Peachland Mini Kickers program. Randey believes the best way for a young child to learn a team sport is to make it fun and keep it positive. He has found over the years that young kids learn to dribble a soccer ball much quicker if they are playing �keep away� from a coach or parent than if someone is just telling them to go around cones. They should all have a ball at their feet or a bat in their hand as much as possible, allowing them to win against parents/coaches at practice as much as possible. Kids all develop at different rates but if you keep it positive, they will keep coming back because they want to, and will learn individual, team and social skills that will benefit each of them throughout their lives. Anita is originally from Mexico and speaks both Spanish and English. 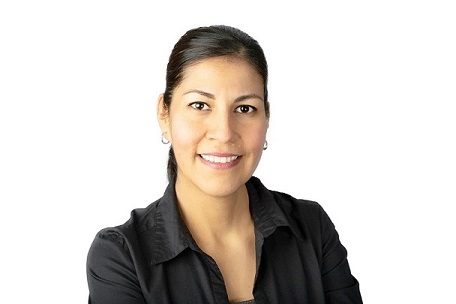 She has a degree in Culinary Arts and experience working in many Mexican restaurants and teaching cooking classes through the Government of Mexico's community programs. Cooking is her passion and she enjoy sharing with family and friends here in Peachland. Baking is one of her most relaxing hobbies. The focus of the class is on traditional Mexican recipes. Savanna has trained in the Kripalu Yoga Lineage which is a healing style of Hatha yoga with an emphasis on compassion. The focus is on different meditations, healing physical asanas and cultivating a spiritual practice that benefits each person in their lives. As the practice continues and strengthens, so do the poses and flows. We learn to notice our thoughts without judgement, to listen more closely to our bodies ever-changing states and continue to finetune its needs. We also learn different breathing techniques (Pranayama) to help us navigate through our emotions' varying states. Savanna loves guiding a relaxing and rejuvinating Savasana! These practices begin spilling over into everyday routine and strengthening aspects of the mind-body-soul out in our daily lives. Kripalu is fantastic for those new to Yoga as well for those seasoned students. Jai Bhagwan! Fadrina grew up in Switzerland then moved to Salmon Arm when she was 11. In 2014 she moved up north to Yellowknife then Whitehorse. 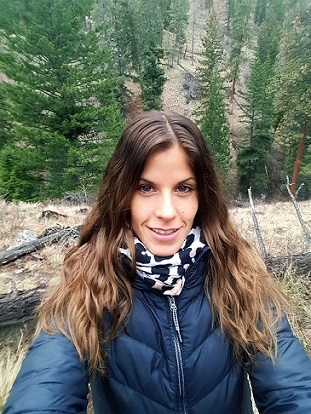 Fadrina moved back to the beautiful Okanagan in November 2017. Fadrina has often designed workouts using the HIIT, Tabata, and other interval timed class format. She enjoys using equipment to enhance functional fitness, such as resistance bands, Bosu balls, steppers, kettle bells, medicine balls, free weights, and a lot of body weight movements to keep workouts interesting! No workout will ever be the same with her. Fadrina�s focus is on giving clients the tools they need to live a healthy and fit life with fast, effective and fun workouts! Anyone is welcome to her classes as long as one is ready to work hard. She offers lots of modifications to different fitness levels, showing up is the hardest part! Frances was born in Wales in the UK, where she completed university in Nottingham and obtained her Bachelor's Degree in Sports Science. Shortly after, she moved to Canada where she became a Certified Exercise Physiologist through CSEP. Over the years, Frances has been a personal trainer, performed fitness assessments and Exercise Stress Testing, and for the last few years has been a Group Fitness Instructor. She loves teaching Spin, where the class is pushed to work hard, sweat, and all reach the finish line together. Frances is a mother to two girls and as a family, they enjoy rock climbing and taking part in what the Okanagan has to offer. 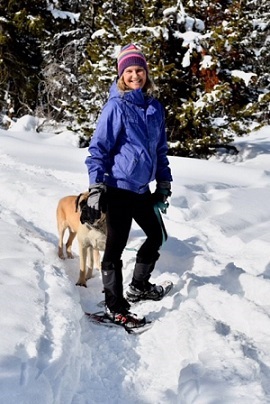 Frances loves teaching in Peachland where she is so happy to be a part of the Peachland fitness team. Abby has been teaching, training and coaching clients for over 25 years. She is the owner of Go Figure Training and Health Coaching. At Peachland Recreation, Abby offers our complimentary Fitness Room Orientations and teaches Learn to Foam Roll Classes. 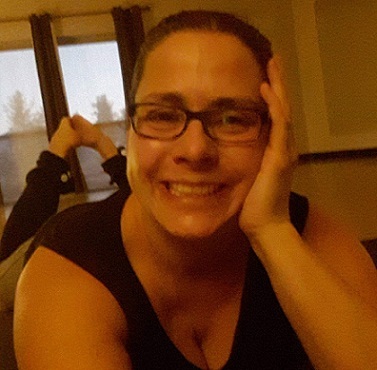 She also teaches Group Fitness and Stretch Balance Core classes at the 50+ Activity Centre. Abby has been a fitness enthusiast her entire life and is passionate about helping her clients achieve a healthy, active lifestyle. She enjoys yoga, cycling, cooking and is an avid long distance runner. As an advanced level tennis player, Roberta Meakin has had years of private lessons and training. She competed in many tournaments in the Okanagan Valley area in both singles and doubles. These tennis skills were highly transferrable into the sport of Pickleball. She began playing Pickleball in 2011, where she started as a 4.5 level player and won her first Canadian Nationals Silver medal in 2013. Roberta became a tournament rated 5.0 player in 2016. She has won many tournaments in the USA and Canada. Her crowning achievement for Canada is 8 medals at the Canadian Nationals Tournament, the largest in Canada, in the last 6 years. She is a sponsored Canadian pro player with Paddletek, one of the premiere paddle makers in the USA. As an instructor, Roberta has been teaching/coaching players in the Okanagan Valley since 2013. 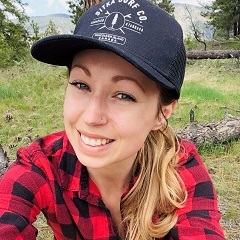 She teaches for 9 recreation centres (Penticton, Oliver, Peachland, West Kelowna, Rutland, Okanagan Mission, Watson Road in Kelowna, Lake Country & Princeton). Roberta believes that forming good technique for Beginner and Novice players is very important when starting out. This will help to prevent injury and those bad habits that are harder to break later on. 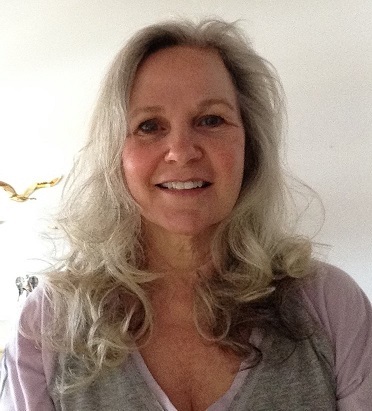 Roberta specializes in helping Novice players work toward Intermediate level play in a fun and encouraging environment. Roberta is also a childrens ballet instructor and has taught everything from fun beginners classes to exam and pre-professional level classes with serious students. Ballet technique is very detailed. It also requires hands-on correction so that students can �feel� the correct movement. Roberta uses this unique set of skills in her work as a Pickleball instructor. She is a motivated and encouraging teacher, that likes her students to have fun, be challenged and work towards goals. She works with all levels of players from Beginner to Advanced. 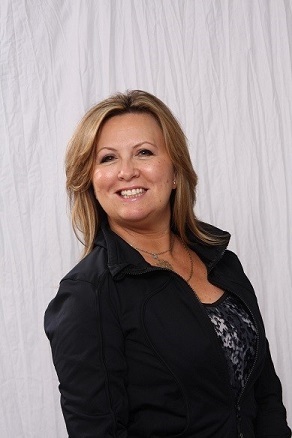 Carla has over 25 years experience in the health and fitness industry and has been currently teaching successful classes within the last 5 years in the Peachland community. Below is a breakdown of the classes she teaches and the format. Functional Fitness: A 1-hour class using the Bosu and step as a warm-up, building on a complete full body workout using weights, balls, bands and different compound exercises to burn body fat and keep your muscles strong and flexible. There is a floor component for core work and abdominals, as well as finishing with a fantastic cool down stretch. This class is at 4th St Place. Senior Stretch and Strength: Classes are 45 min using chairs and props for support. We start with active stretching to warm up the muscles followed with light resistance equipment to strengthen our bodies. There is a strong focus on balance, agility and coordination to learn how to enjoy everyday life and activities. There is no floor work in this class. This class is at 4th St Place. Freeride Spin: This is a highly motivated indoor cycle class with a 45 min cardio fat burner to great music and a cool down. This class is at the Peachland Community Centre. All participants are required to fill out a medical Par-Q waiver before starting. Tessa feels fortunate to be sharing Yoga for the past several years with an amazing, diverse community of people. She was first drawn to Yoga while in high school. She thought Yoga would be a great balance to her passions of riding horses and fitness training. It didn�t take long for her to discover many more benefits Yoga provides beyond the physical ones such as bringing balance mentally and energetically. She took Yoga teacher training in 2010 and it became her full time job in 2012. She feels it a privilege to have practiced and trained in many styles of Yoga and discover what Yoga is for her. She tries to bring that across to students in a safe, creative, accessible, and empowering way. Tessa feels honoured to be part of the process of bringing Yoga into your life. Yoga has been a part of Tanya's life for over 10 years, and her practice has helped her grow stronger, more flexible, and manage her anxieties both on and off the mat. Tanya has travelled to many countries to learn and practice Yoga. It inspires her to live in each moment and be kind. Her classes are alignment based with simple sequences to release tension, strengthen the body, and open the heart and mind. For the past decade, Des has taught swim lessons to children and adults. He has also had the opportunity to work with individuals with varying disabilities which he feels has been an amazing learning experience on how to adapt a lesson plan to meet each and everyone's personal needs. Growing up as an all around athlete has lead him to learn the basics of many sports and gain an appreciation for each. Des has helped coach volleyball, basketball, rugby, soccer, martial arts, track & field, and swimming. On top of this sports background he has recently graduated with a degree in Human Kinetics from UBCO. 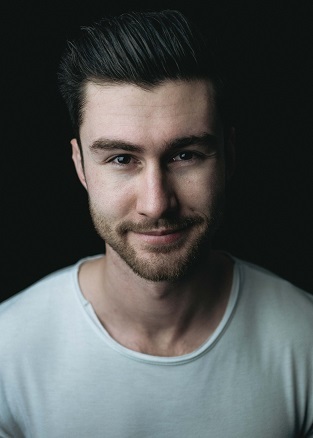 One of his primary focuses is in Kinesiology and working with injured athletes/persons looking to return to play or back to their usual activity level. As an instructor/coach, Des feels strongly towards the respect and positive attitude everyone deserves. Being able to connect with someone and have them enjoy themselves in whatever sport they are participating in makes all the difference. Lili has a background in marketing and corporate sales within the government and as an entrepreneur. She started tutoring English for coworkers and friends back home. 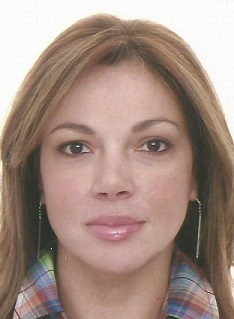 Since coming to Canada, Lili has been a Spanish tutor in Victoria, Kamloops and Kelowna. Her style of teaching Spanish is 100% conversational so people get use to the sound of the language from the beginning. There is a little homework and work within the group in their specific needs. People should attend class with a tablet, smartphone or paper dictionary. Carole fell in love with Zumba in 2010 and became a regular participant to a local Zumba class. In 2012 she was encouraged to certify as a Zumba Instructor with the incentive that upon completion she had a venue to teach in. Since then, Carole has been an active Zumba instructor and is certified to teach Zumba on the Circuit, Aqua Zumba, Zumba Gold, Zumba Step and Zumba Sentao. Carole comes from a Health Care Background (Nursing & Recreation) of over 37 years and is sensitive to the class needs, abilities and challenges. Before Zumba, Carole faced some health issues and Zumba helped with the healing process. Carole is the girl to make you sweat - every class she wants you to grab the Latin "flavor", challenge yourself and leave with a smile, proud of everything you have accomplished. Emma fell in love with Pound at first strike! The feeling, the energy, the music - it was like nothing she had ever tried before. She had been attending a class for about 18 months before completing her Pound Pro training in June 2017, and have since then met some amazing, fearless and funny woman! In our class you�ll sweat, you�ll laugh and you�ll ROCK! We all get to be FITNESS REBELS in Pound! Any age and any stage, modifications are throughout and drum solos are encouraged! You are doing it right if you are smiling (and sweating!). 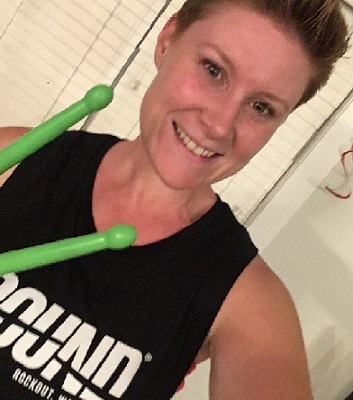 Pound is a cardio jam session inspired by the fun of playing the drums! You have a set of slightly weighted Ripstix in your hands and we just rock out to awesome music! You�ll be doing squats, lunges, arm reps (all modified) and we Pound sitting on the floor for an ab workout too! Come and ROCK with us and MAKE NOISE and meet the amazing Posse that challenge each other everyday! Emma and her husband live in Peachland. They have two young boys who attend the local Elementary school/preschool, and they all love living in Peachland! 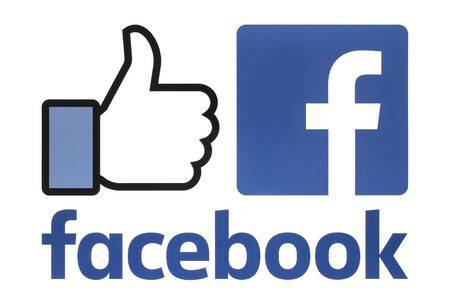 You can follow Emma�s Pound adventures on her Facebook page �Pound Workout with Emma�. *Remember, your first time to any of the fitness classes offered from Peachland Recreation is FREE. Come down and give a class a try!